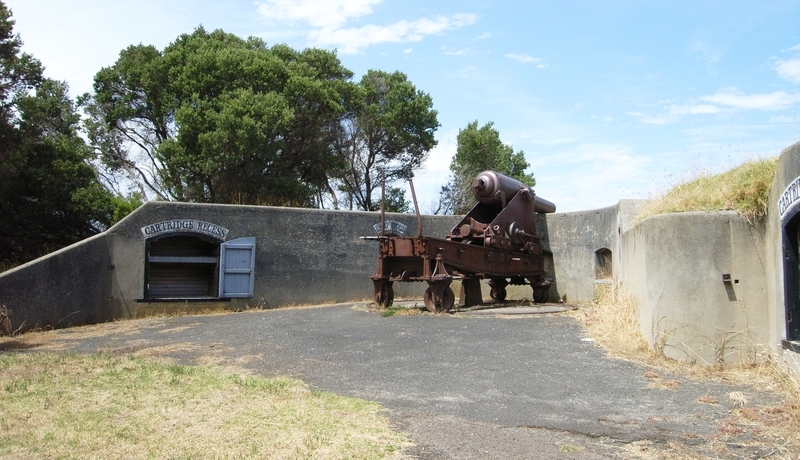 The guns and emplacements at Battery Hill, Port Fairy, comprise bluestone and concrete fortifications built by the Public Works Department in 1886-87; two guns installed in 1887, associated machinery and concrete bunkers. The fort is prominently and strategically sited on a coastal dune overlooking the Southern Ocean and the mouth of the Moyne River. The site comprises a grassed area, with a flagpole at the highest point. A bluestone powder magazine (c.1860s?) is located a short distance away on the east bank of the Moyne River. Battery Hill was an early observation site. A signalling flagstaff was established here in 1861 and also an observation hut (this was re-developed in 1887 but no longer extant). Battery Hill was established as part of a rejuvenation of Victoria's militia forces in the mid-1860s and, more particularly, with the re-establishment of the Belfast (Port Fairy) Volunteer Corps in 1866. This was one of several important Volunteer Corps set up in Victorian coastal towns (a Volunteer Rifle Corps had been formed originally at Belfast in 1859). In 1867 cannon were installed at the site and a brass band was formed. The battery was made suitable for the addition of new guns in 1874, some on traversing platforms, and further guns were acquired in 1877. Battery Hill was further developed in the 1880s with the large-scale construction of fortifications in 1887 and the acquisition of additional guns in readiness for a much-feared Russian attack. This strategy came about in response to a heightened hysteria about foreign invasion at this time, and from the sense of vulnerability stemming from the young colony's considerable wealth and relative isolation. The guns have only ever been used only for training purposes and civic celebrations (e.g. King George V's coronation in 1911), and have never been fired in defence. Following this upgrade of the site in 1887, some of the older guns were sold to the Borough Council. One gun was placed in the Port Fairy Botanic Gardens for ornamental purposes in 1889; it remained here for nearly 100 years before being returned to Battery Hill in 1984. Other guns were relocated to King George Square in 1911, also for ornamental purposes, but these were also returned to the Battery in 1984. 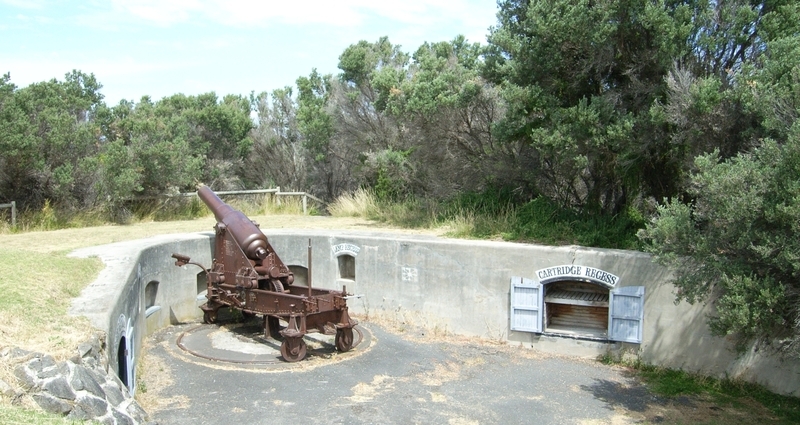 The guns and emplacements at Battery Hill, Port Fairy, are of architectural, historical and scientific (technological) significance to the State of Victoria. Battery Hill, Port Fairy, is of historical significance for its association with the early development of defence in the colony of Victoria. 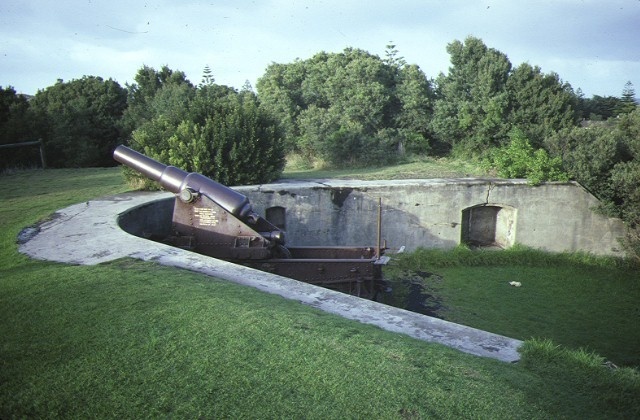 It is an important example of the style of fortifications built in Victoria's coastal towns as part of a broader colonial defence strategy in the 1880s. It has significance for its association with other maritime heritage sites in the town, including the Lifeboat Station (H1431), Powder Magazine, and Griffiths Island Lighthouse (H1659). The site is of historical significance for its association with the activities of the volunteer militia, who played an important role in the social life of Victorian coastal towns. It forms an important element in the collection of public buildings in this historic township. 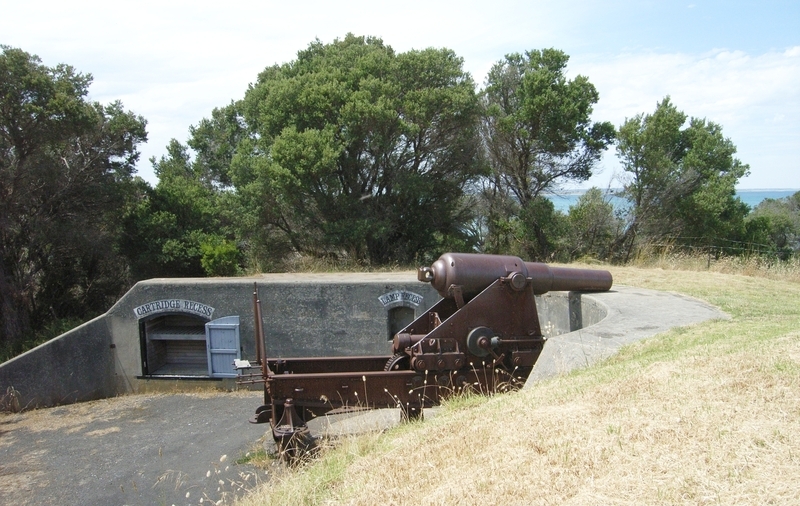 Battery Hill is of scientific (technological) significance as an important collection of guns used in Victoria in the nineteenth century; the collection is surpassed only by the collection at Queenscliff Fort. Guns and emplacements, Battery Hill. Battery Hill is located on the natural high point of a coastal dune, and has a significant association with the formation of Volunteer Corps in coastal towns. After the formation of the Belfast Volunteer Corps in 1866, the Battery became a logical requirement.The Battery went through many stages of development, the most significant of which were the introduction of two 68 pound guns in 1874, the construction of a fort in 1886, and the installation of 80 pound guns in 1888. The formation of a Volunteer Corps in Victorian coastal towns (Warrnambool, Belfast and Portland) was an important community activity for the young men of the settlements. It provided a focus for social functions, the basis for a town band and an additional hierarchy, despite the election of the NCOs. The importance of the community activity is amply reflected in the emphasis apparent by local press reports of activities. The battery at Port Fairy is on the original site and its position commands the bay and the entrance to the River Moyne. The weapons have a field of fire of 180deg. Their establishment emphasises Victoria's concern for her defence and awareness of her isolation and exposure to naval raids. The site is important for its contribution to understanding the Victorian defensive philosophy and the contribution of the volunteeer militia in providing the resources to operate the weapons. The site is enhanced by the collection of weapons that were installed over its operational life, as the thirty, 2 pound, sixty, 8 pound and 80 pound cannons are located in the area, a collection only rivalled in Victoria by that at Fort Queenscliff. Various references held in the HV file on this site. Doyle, Aitken and Jellie. ‘Port Fairy Botanic Gardens Conservation Plan’, Prepared for Moyne Shire Council, 1999. This exceptional collection of muzzle loading cannon were supplied by the Victorian Government to equip the local militia to oppose an envisaged Russian invasion between 1867 and 1887, when the elevated fortification and emplacements were installed.